2016 has gotten a bad rap for a lot of things (ahem, politics and celebrity deaths! ), but for me it really wasn’t all bad. In fact, it was actually pretty great. The end of a year always comes with plenty of self-reflection for me, and this year more than most. I can safely say 2016 was a year that brought more change than I’ve ever experienced in a single year. My husband and I rang in the New Year in Greece! We’d been married for 6 months when we took our honeymoon to Athens and Santorini. Not a bad start to the year! I learned I was pregnant on January 18th. This news and subsequent journey was definitely the driving force behind a year of change! My calendar filled up with amazing wedding shoots. 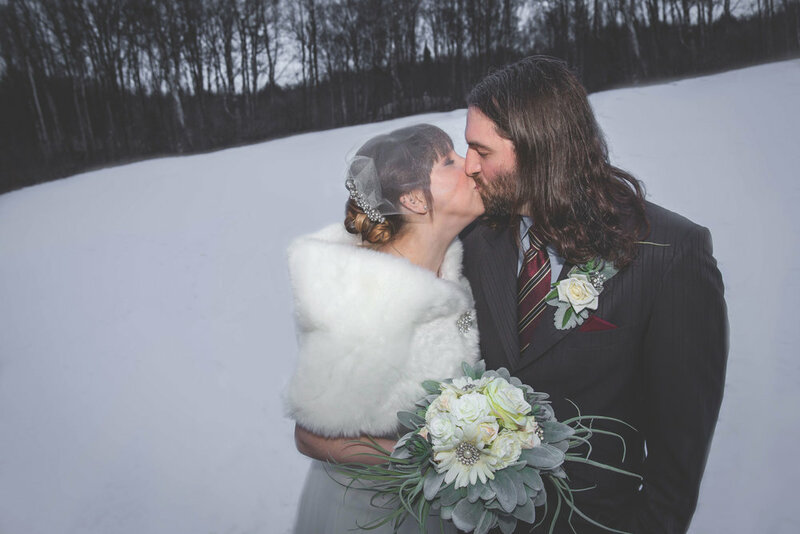 I covered everything from a beautiful wintery wedding at home to a destination wedding on a secluded beach in Kachemak Bay. I’ve learned that I love working with couples before meeting them on their special day through fun engagement sessions where we really work out the kinks and get to have fun in front of the camera. I’m so thankful for adventurous couples who don’t mind a little rain and who are willing to put in some effort when it comes to Alaska’s beautiful scenery. One of my favorite weddings of the year turned out to be a quick ceremony in Girdwood. We planned on taking the tram to the top of Alyeska, and found out that we'd missed the last tram! With a little bit of regrouping and amazing attitudes, it wasn't long before we found an even more amazing ceremony spot back on Winner Creek. I also taught 4th grade and had the most amazing class ever. I was so sad saying goodbye to them at the end of the year. A big change was putting my teaching on hold at the end of the school year to be a full-time Mom and Photographer. I also got to cross another country off my bucket list! My family went on the most perfect Italian vacation. I was 6 months pregnant, and it was difficult to to turn down wine-- but the gelato made up for it! Italy was truly a photographer's dream! And of course, the biggest change came in September with the arrival of our Son! I'm looking forward to 2017. Already I have weddings scheduled that I'm really excited about! I am headed to a photography convention, a family vacation in Hawaii, and my sister-in-law's wedding! I want to work with even more adventurous and easy-going couples, try out new photo session locales, and I'm setting a goal for myself to speed up my editing time. And of course, take a million photos of my sweet baby. Thanks to everyone who made this year great-- and here's to another fantastic year!